‘Luke Cage’ star Mike Colter discusses the magnitude of playing a black Marvel superhero and how Trayvon Martin influenced the show. Plus, the actor on his South Carolina upbringing, and an early career experience with Clint Eastwood that stuck with him. 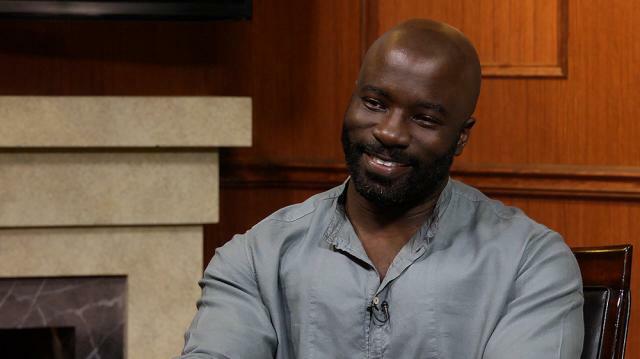 Larry Kings meets with Mike Colter, the star of Netflix’s superhero drama ‘Luke Cage’ and the upcoming Marvel crossover series ‘The Defenders’. Colter gives his own theories as to the resurgence of comic books becomingfeature films. Mike then explains to Larry the symbolism behind Luke Cage’s hoodie, his character’s storyline, and if events during Trump’s presidency will be incorporated in the show. He also describes his experience working with his co-star, oscar winning actor, Mahershala Ali on ‘Luke Cage’. The very busy actor breaks down how he balances taping both shows and how it has taught him to work on balancing life and work. Larry delves into Mike’s childhood and his experiences in Saint Matthews, South Carolina. He describes his experience as different from most. Although aware of what South Carolina represents to many, he expresses gratitude for not facing many adversaries and having the support of his educators while pursuing an acting career. Colter guides Larry through his journey in getting his “big break” in ‘Million Dollar Baby’ and his experience working with the legendary Clint Eastwood. Despite being 40 years old, the actor doesn’t think he’s made it in the industry yet; but believes he’s certainly has paid his dues and is still paying them.